Hualien Byeyer Hotel integrates the new-age business ideas of stone characteristics, aesthetic arts, and LED green energy technology into its design concept, pursing the pleasure of “enjoy reading, humanities and culture, arts, business travel hotel” within its graceful lodging space in the hope of bringing a brand-new sensation to every distinguished guest. 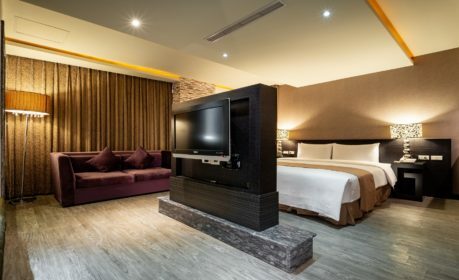 Hualien Byeyer Hotel applies abundantly up to 50 kinds of marble and granite, combining more than 20 types of engineering methods with hardware construction and interior architecture. In addition, the silhouette of branches in geometric shape based on aesthetic design is used to accentuate the humbleness of tourism and service industry and bring out the stylish and elegant embossed patterns on the outer walls. The most up-to-date LED technology is adopted on the outward appearance of the entire building: the mood seems to arrive instantly at the end of the tranquil shady path once you step into the interior space as the sunshine or evening lights filter through the branches in the daytime or at night. 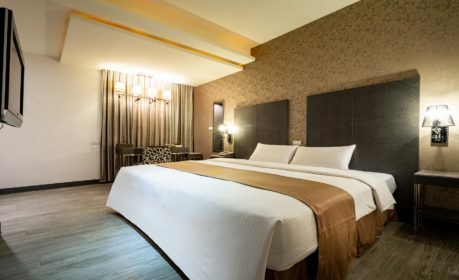 Holding excellent geographic location, Hualien Byeyer Hotel is very close to railway station, airport, downtown area, tourist attractions that one is able to reach all these places within a drive of 15 minutes. 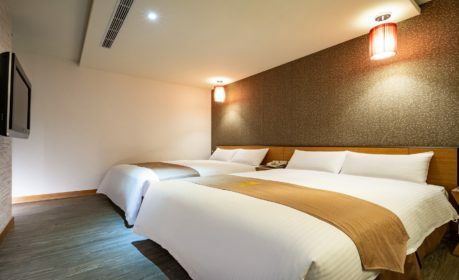 With an urban accommodation environment away from the hustle and bustle, escaping from the noise without being isolated from the city, the hotel is the optimal choice for travelers who wish to enjoy downshifting taste of slow city in Hualien. 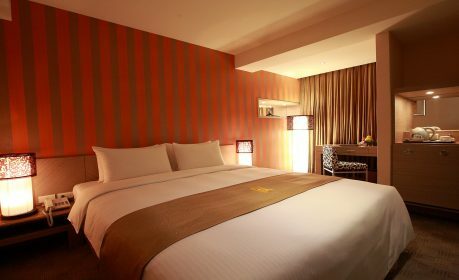 Hualien Byeyer Hotel has set up online booking system for travelers to easily arrange their trip in advance. 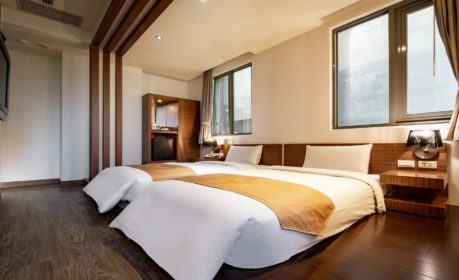 Through secure online transaction, you can arrange the check-in date the room type in accordance with the scheduled leisure plan with ease, marvel at the wonderland of Hualien-Taitung back mountain, and relish the beautiful utopian poem of this secluded East Rift Valley (Huadong Valley). 32-inch LCD TV、refrigerator、Instant coffee bags, tea bags、Mineral water、SEPARATE SHOWER ROOM. 32-inch LCD TV、refrigerator、Instant coffee bags, tea bags、Mineral water、SEPARATE SHOWER ROOM WITH BATHTUB.